One cannot miss this stunning looking shop along Rue St Honore. The oldest French trunk maker since 1849. Moynat is a legacy on its own, producing handmade, made to order, customised luggage and trunks for the royal family and aristocrats. It's almost an institute in France for so many generations. 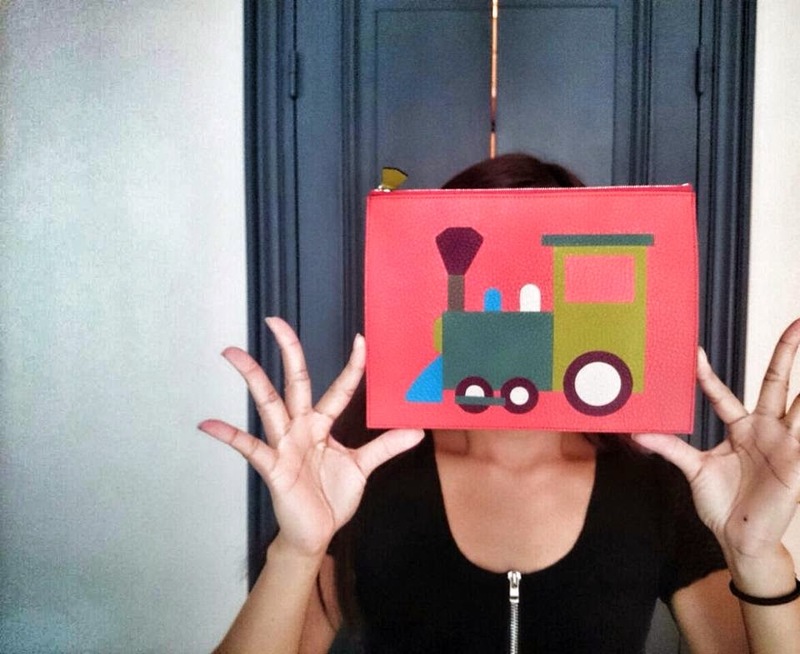 Whatever it is, one must must visit its main atelier and boutique at Rue St Honore. It was so important that this "activity" was listed in our itinerary to JS rolling his eyes. JS: "We will walk past there anyway!!! coz u wanna buy this and buy that." Monkey: "Like u not gonna spend time there everyday?? Afterall u'll be looking at wat's new inside Goyard everyday." oh well, reasons why we are staying within walking distance from Chanel mother store and Goyard's only store in Paris. So u see, Monkey isn't that inconsiderate, she even made sure our accommodation was so strategic even for Master JS who oso insisted that Lafayette must also be around the corner. Okie got u boss. 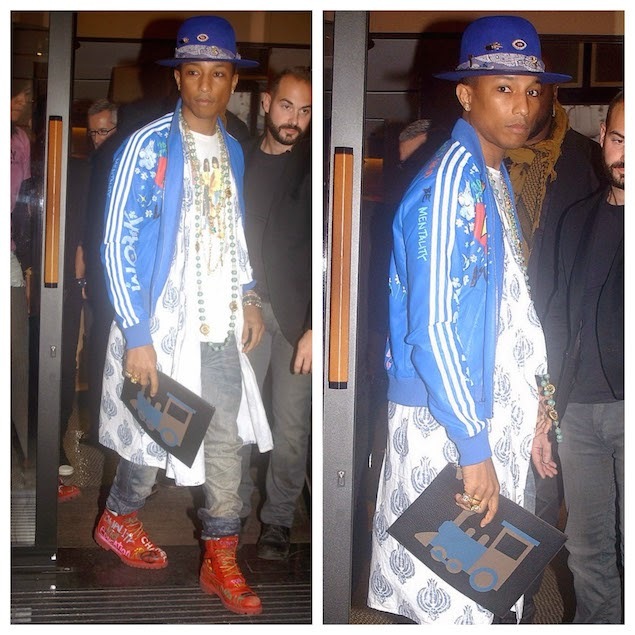 Train Clutch, designed by Pharrell Williams....yes u read that right, the very same famous and talented Happppppyyyy Pharrell Williams. 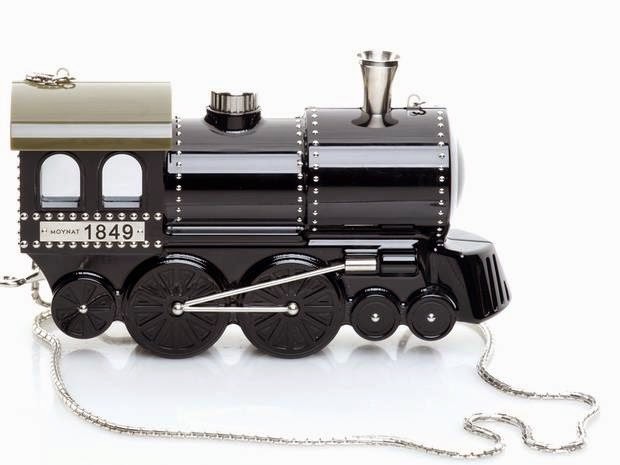 Such an exquisite clutch!!!! Beyonce was recently spotted carrying it. 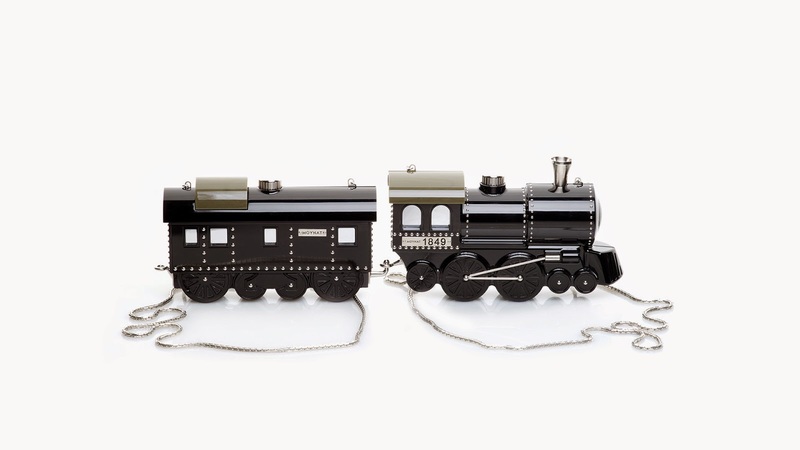 Truly an "Object of Desire"
Mr. Williams seated among all the vintage trunks by Moynat, holding his train clutch. 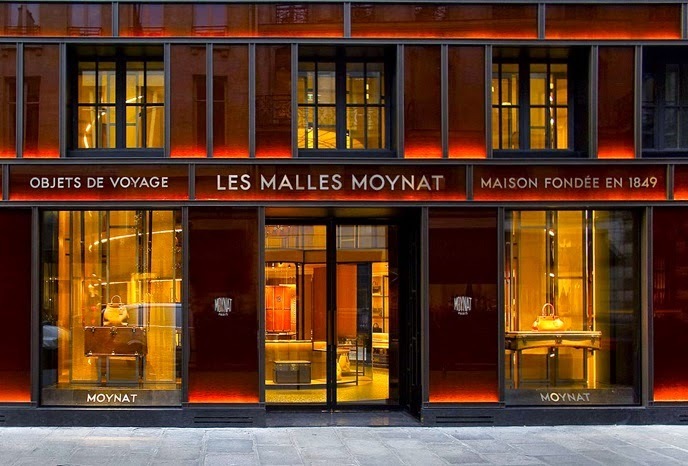 Moynat boutique looked suspended from its exterior, 2 retail floors, of ohhhhh-ahhhhh-I-want-all-of them but nothing is for sale. Monkey thought so hard and really hard and decided she's OK to part so much of money for a briefcase but we gotta wait 6 months for it, as it's custom-made and of coz made to order. Readers should know me by now....I will never step out without having anything in my hands. I am that persistent, once set out to do *or buy* something, it has to be executed. Anyway JS was right, don't think I can afford anything that I only like half heartedly with stocks availability in the boutique at that time. Next I was bz checking every colors availability, that best match me hehehehehe. It was only launched a few days ago and most of the colors were still available. Hooray!!! 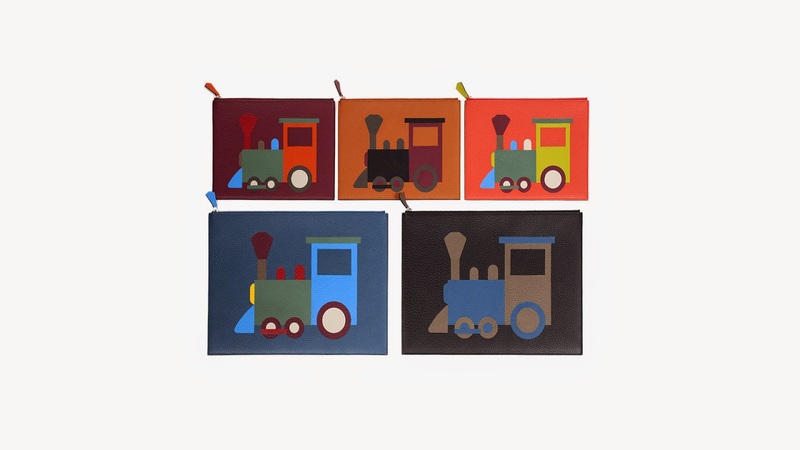 I think Orange is the best color for me :))))) Have yet to use the choo-choo train :))) will find an occasion to. I know it's very pricey but it's a Moynat. right now, I am happy to be part of the journey in LVMH group :)) If u gonna sell ur soul to something, u better make sure it's worth it. Same goes to food and wines, if u gonna put calories into that body of yours, better make sure it's worth every single cal!!! For more information on the beautiful handmade Moynat trunk, please visit.